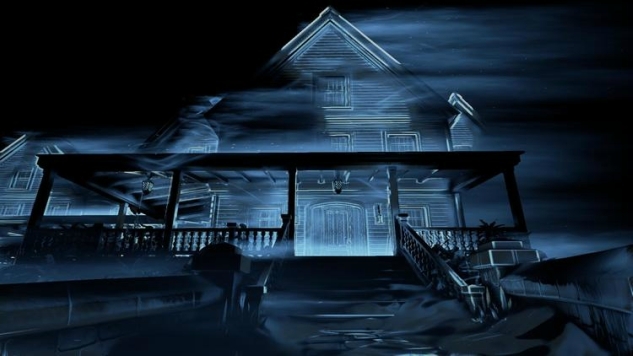 Perception, the horror game from a team formed by ex-Irrational and Visceral team members, is now coming to PS4. Developer The Deep End announced the console version yesterday on the Playstation Blog. New publisher Feardemic, “a new publishing label focused on bringing players unique psychological horror games,” will help bring the title to the Sony system. The first-person game stars Cassie, “a blind heroine who uses her extraordinary hearing and razor-sharp wits to unravel the mysteries of an abandoned estate that haunts her dreams.” Armed with only a walking stick and a smartphone, players will use sound to “see” their surrounding environments, as well as to survive and outsmart the ghostly “Presence” which dwells within the estate. No release date was provided in the announcement post. Stay tuned to Paste for more news and details regarding the forthcoming horror title, and watch a trailer for the game below.